I've been working for a few months on this typeface. The original inspiration came from an hand-painted lettering that I saw in Paris suburbs, but it has changed a lot since as I redrew it many times. It's basically a reversed contrast sans-serif, intended for display. 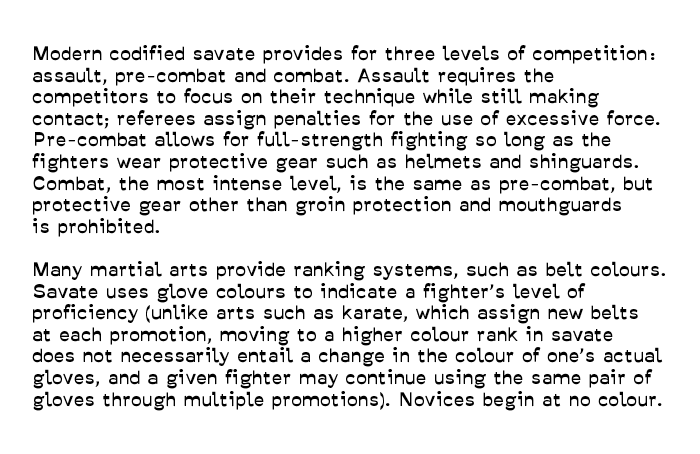 The name come from a french martial art called Savate (french kick-boxing). By the way, I am a graphic designer from Paris, and I am learning type design on my own for some time, so this is mostly a learning project. I spend a lot of time on it, and now I think a reached a point where I could use an outside look. Most of the work has been put on the regular, but I recently experimented with an italic. Yes, this is an interesting take so far. Spacing could indeed use some work. It seems to me that the contrast isn't the same everywhere, some letters seem to have more than others. Especially the thick parts of glyphs seem to differ a bit. This might be just an optical illusion but then you would have to correct for it anyway. 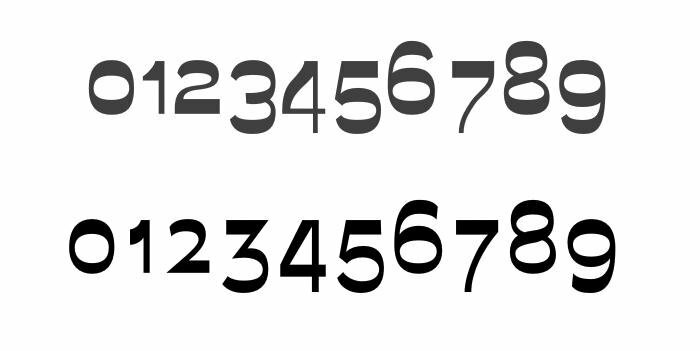 Compare for example the upper leg of the /k with the thickness of rounded letters such as /c or /g. And also the crossbar of the /t seems rather thick in comparison? The /t is now also quite top-heavy, there is a lot of it around the crossbar and the terminal/bowl seems rather small in comparison. Also, compare the upper leg of /k with those of /v and /w - they seem much thinner. There is something odd about the /y - it might make more sense to treat the descender as one stem in relation to the topleft stroke. It now seems as if the descender is attached to a /v but is treated separately (it should be of similar width maybe)? I agree with Mike that the curve on the left stroke might not be necessary, maybe try a straight stroke? I really like your numbers by the way, those are looking nice! To me also the /N could get some more work! Something seems not to fit in my opinion. And think about the /3, too! I did some work on the roman. Some letters have changed, especially /y which now has a straight stroke, and I review weights on every glyphs to get a more coherent look. I wasn't very happy with the numbers neither, so I've experimented with other shapes for some of them and did some work on the curves and weights. I also changed the weight repartition on /M and /N, the previous versions were straight stress-inverted, which made sens, but somehow that didn't work. I prefer the new version, but tell me what you think. But most of the work has been put on spacing and proportions to get more consistency.